The sewer line, among other parts of your plumbing system, carries waste away from your home to the underground mains. It’s not uncommon for it to get clogged over time, especially if you aren’t careful about the types of items you flush down the drain. When you notice the first signs of a blockage, it’s best to get a sewer cleaning and inspection done by a professional before the problem gets worse. Here’s how you know it’s time to have your sewer cleaned. Because your toilet and bathtub drains are connected to your sewer line, they may exhibit unusual behavior when there’s a clog. If you notice bubbling or gurgling sounds coming from these fixtures when you turn on the water, it could mean that your plumbing vent is partially blocked or isn’t working properly. However, the problem could also stem from a blockage in the main sewer line. As water struggles to get past the blockage, it creates bubbles that cause a gurgling sound. Sometimes, a clog in the sewer may cause bad smells to come from your drains. The smell is caused by backed up decaying waste or sewage. You’ll need to get a professional sewer cleaning to get rid of the odor and prevent the blockage from causing damage to the pipes in your home. Slow flowing drains are a common problem that can be caused by several issues. 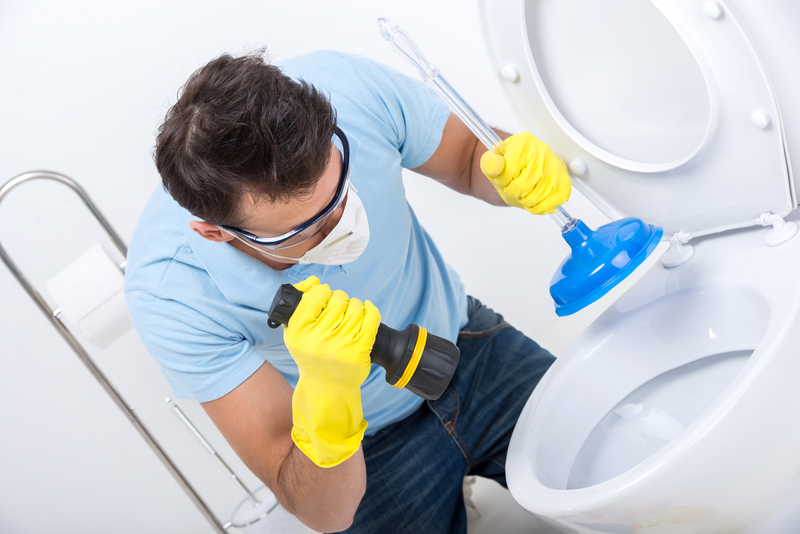 If your drain is clogged, you can clear it by using a plunger or drain cleaner. However, if the problem persists, you may have a clog in the sewer line. Tree root intrusions, grease buildups, and flushing hard-to-dissolve items, such as sanitary napkins or plastic materials, can block the sewer line. Professional sewer cleaning is needed to remove these items. Another red flag is raw sewage backup from the drains. This typically happens when waste has nowhere else to go because of severe clogging in the lines. A sewage backup not only causes damage and the need for costly repairs, but it’s also a health hazard. This issue requires immediate attention from a sewer cleaning expert. Have you noticed any of the above issues in your home? When you need sewer cleaning, contact the professionals at J & J Septic & Sewer Cleaning in Waterloo, IL. They also provide grease trap cleanings and excavation and septic tank installations throughout Monroe County. They have excellent customer service and always get the job done right. To schedule an appointment, call (618) 939-3001 today or visit their website for service details.